There comes a time in every child's life when it's time to start cutting back on the bottle or nursing and enter the world of big kids with a sippy cup. While some kids enthusiastically embrace this new way of ingesting liquids, others prefer to throw their sippy cup on the floor and not give it another thought. Mom Gwen O'Keefe knows this battle all too well. It's why she invented the Poli Sippy Cup and wants to share these helpful tips with other parents to make the transition easier for everyone. She created the Poli Sippy Cup after many frustrations with sippy cups that weren't easy-to-use or clean and without so many small parts to lose. Using her love of painting and teaching children, she included designs from nursery rhymes to make the sippy cups both fun and educational. Here, she shares her top five tips for making the big transition to the sippy cup. The American Academy of Family Physicians encourages parents to introduce the sippy cup at six months of age in preparation for weaning from the bottle or breast at 12 months (if you choose to do so). Go ahead and try your baby with a sippy at 6 months, but keep in mind that they may not be ready for a couple more months. And, just like with any new skill, it takes time, practice, and patience. The key to your baby's readiness is the development of a good strong fist grasp and the ability to easily move things from the hand to the mouth. But keep in mind that using a sippy cup requires much more than simply picking up an object and putting it into one's mouth. It's a good idea to let your baby play with it and get used to it, not expecting them to fully drink from it for some time. Model the sippy cup for them so they can see how it's done and more easily understand the concept. Make a game of drinking from a sippy cup at the same time! All babies are different. Some take to the sippy cup immediately and have no issues with the spout and valve that prevent spilling while others have a harder time with the sucking. You may want to invest in a couple types of cups for your baby to try out. Even consider trying a sippy cup that has a straw. Important things to look for are sippy cups that are BPA, phthalate, and lead-free, pieces that come apart for easy cleaning (so bacteria and mold cannot get trapped), a chew-resistant spout, no small parts, and a lid for travel. Some parents allow their tots to constantly have a sippy cup within arm's reach, anticipating dire thirst. However, constant access to a sippy cup containing juice, formula, or breast milk can create a new set of problems, from filling up on liquids to issues with teeth. 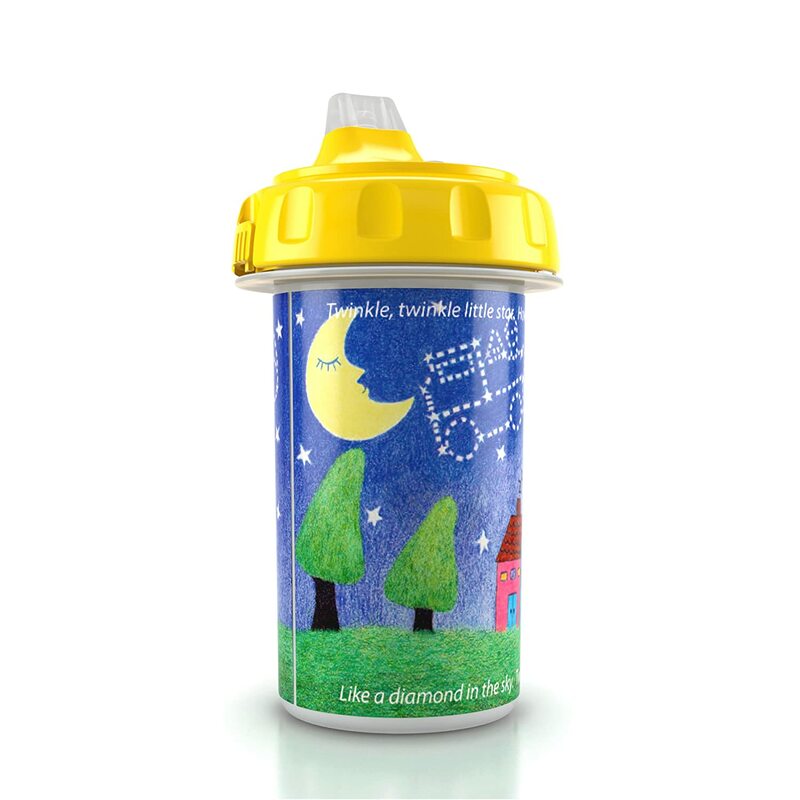 It's best to offer the sippy cup throughout the day rather than allowing constant access. If your baby is very young and not speaking, teach them the sign language hand motion for “drink” and practice showing them the sippy cup equals a drink when they're thirsty. The best drink to put in your baby's sippy cup is water. It's also ok to offer breastmilk/formula, but it's a great idea to start your baby with water when they're young. Some parents use this opportunity to offer juice, but if you do opt for juice, make sure it's watered down considerably (1 part juice to at least 3 parts water). Instead of store bought fruit juice, you can also make your own homemade flavored water, using real fruit and water. Pick ripe fruits like peaches, mangos, and blueberries. Try one fruit at a time with the water to confirm your baby doesn't have an allergic reaction to the fruit. Vegetables: Are They Really Necessary?